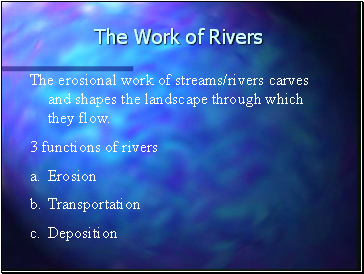 The erosional work of streams/rivers carves and shapes the landscape through which they flow. 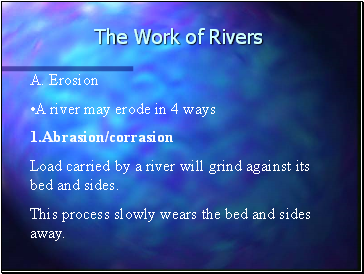 Load carried by a river will grind against its bed and sides. This process slowly wears the bed and sides away. 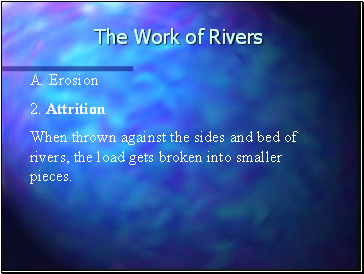 When thrown against the sides and bed of rivers, the load gets broken into smaller pieces. 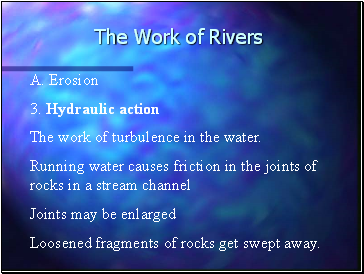 The work of turbulence in the water. Loosened fragments of rocks get swept away. 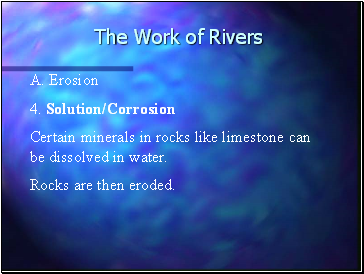 Certain minerals in rocks like limestone can be dissolved in water. 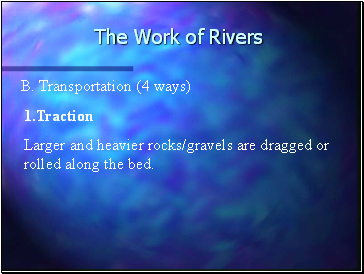 Larger and heavier rocks/gravels are dragged or rolled along the bed. 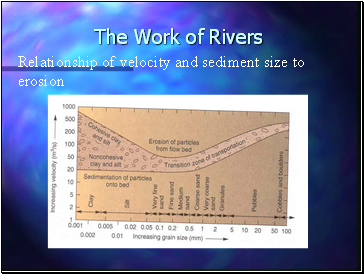 Smaller and lighter rock fragments and sand hop and bounce along the river bed. 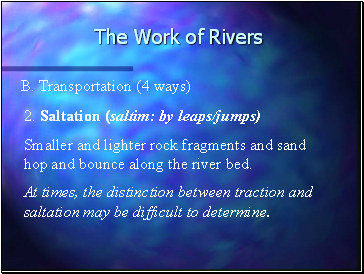 At times, the distinction between traction and saltation may be difficult to determine. 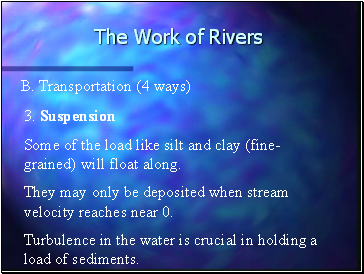 Some of the load like silt and clay (fine-grained) will float along. They may only be deposited when stream velocity reaches near 0. 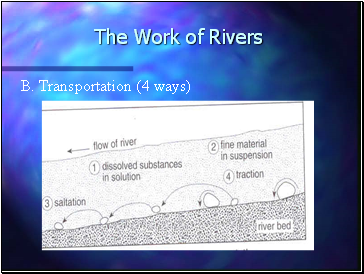 Turbulence in the water is crucial in holding a load of sediments. 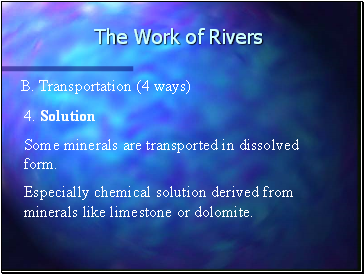 Some minerals are transported in dissolved form.